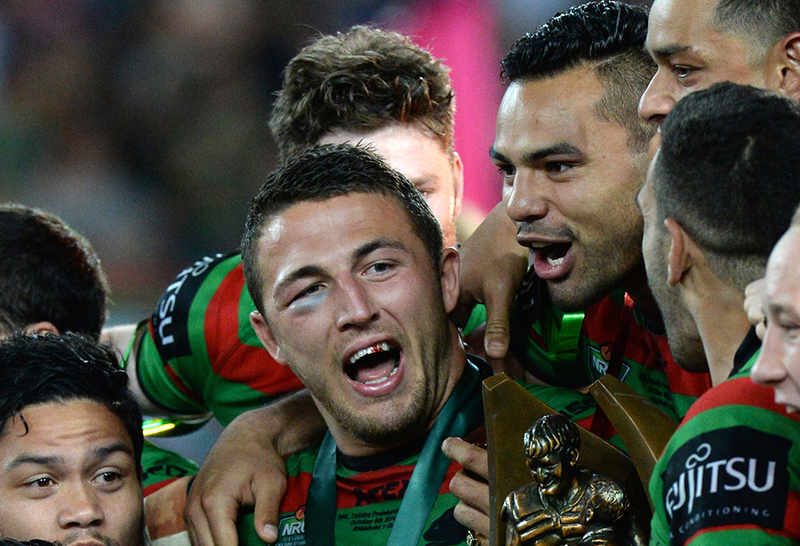 By now Cooper Cronk’s grand final heroics are etched in rugby league folklore. 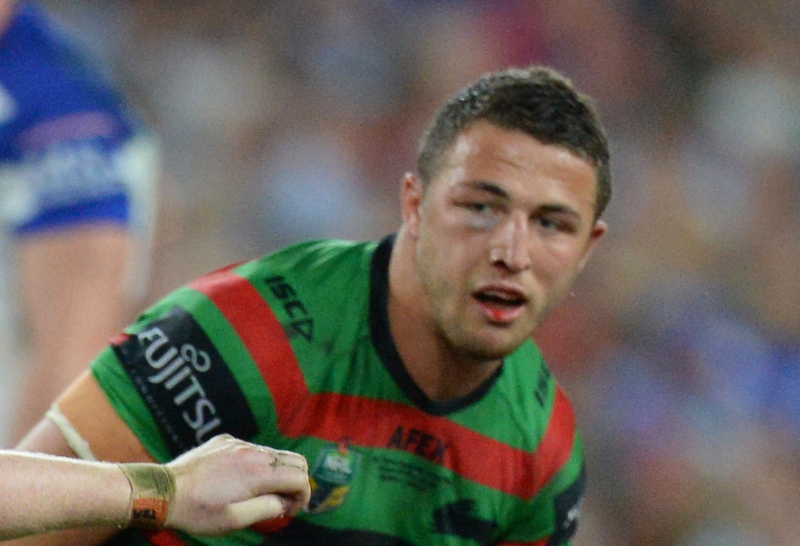 His act – playing with a broken scapula – puts him alongside Sam Burgess’ broken cheekbone and John Sattler’s shattered jaw in the ranks of courageous fools who played through injuries in big games. I hear your outcry now. How dare you! Who do you think you are? Don’t you realise the bravery it took? Cronk’s no mere man. He’s a walking gladiator. He’s a hero that makes Achilles look like a quivering child. He had twelve anaesthetic injections within three days and a 15cm fracture in his shoulder. He played through an injury most often seen in motorbike crashes, he even got on the cans with the boys after the game – he’s a legend! I’m not here to argue that Cronk wasn’t brave. He was. I winced at each of his nine tackles and marvelled each time the pain forced him to his haunches, his arm hanging by his side like Woody in Toy Story 2. I even nodded sagely as Trent Robinson declared his instant “legend status”. His valour is undoubtable. It’s also beside the point. Imagine, for a moment, that your pet Labrador was in a similar position. Choc the dog broke his shoulder, but he has a huge dog show in a few days that you have been working towards all year. Do you inject little Choc with some anaesthetic and tell him to push on? Do you cheer as he howls in pain after leaping the hurdle? I don’t think so. The very idea of behaving in such a way is unimaginably cruel. As Choc’s owner, it’s your responsibility to look after him. Shouldn’t there be someone to look after the welfare of Cooper Cronk? The decision should not have been his to make. Of course he wanted to play. Rugby league players have shown time and time again that they cannot be responsible for their own safety. Notice the way he casually standardises the act of playing through injury. For Robinson, and thousands of others, it’s a players job to ‘continue on’. While to some extent this is true (I’m not calling for players to take an early shower for a bleeding nose), such a dialogue around more severe injury is harmful. It puts the team’s success over the individual player’s welfare. This is not something to be celebrated. It’s something to be admonished. It’s not acceptable. Rugby league is already tough enough without these ridiculous acts of hyper-masculinity. These acts of individual heroism are the result of archaic narratives engrained within the game itself. They were born at Wentworth Park in 1908 when Easts beat Newtown, and, like all myths, evolved over time. Players, coaches, fans and the media perpetuate the myths. You’ve heard it all – glory comes through playing with pain, injuries are to be worn as badges of honour, that when the going gets tough, you bite down on your mouthguard and get on with the job. The only instance where this doesn’t apply is if you physically can’t participate. That, however, is a fluid and indistinct line that is crossed far too often. 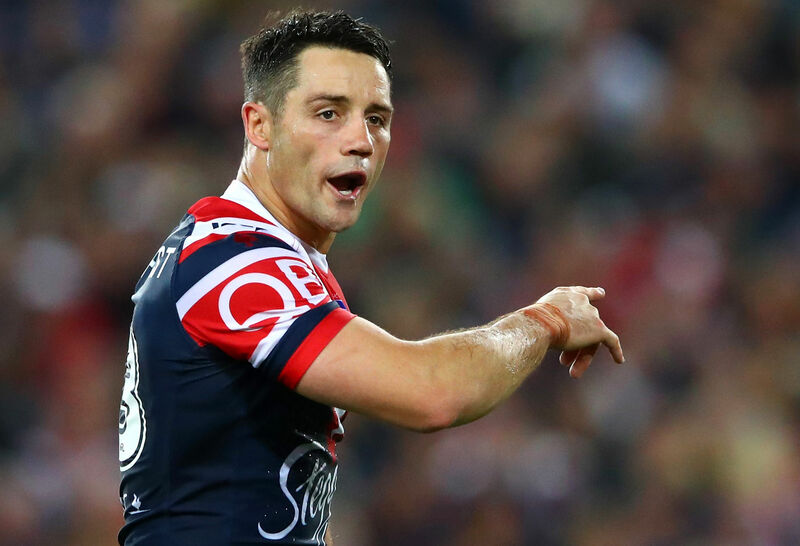 You may be of the mind that Cooper Cronk can do as he wishes. He’s a grown man after all. That’s definitely true. But what about the young men and women that watched on as Gus Gould and the like celebrated his display? What will 15-year-old Johnny Superstar do when he tears a ligament in his shoulder the week before his schoolboy grand final? More importantly, what will his coach and teammates expect him to do? The expectation and fanfare surrounding playing through injury will continue as long as professional players behave in this way. It is a terrible precedent to set for the stars of the future. Let’s imagine for a second that Cooper Cronk hurt his shoulder more in the grand final and had to prematurely retire. He would be fine. He has access to the best doctors, millions of dollars in the bank, a long-career in the media ahead, and probably a few boats courtesy of the Melbourne Storm. What if Johnny Superstar gets hurt and has to retire prematurely? His parents foot the medical bills, his dreams are dead, his career prospects shattered overnight, and he has no boats courtesy of the Storm. This brutal scenario is the reality for the vast majority of young players. It was the reality for me. At the risk of tooting my own horn, I was the captain of the Manly Sea Eagles NYC side. I had an NRL contract. I retired after complications with an ankle injury that I didn’t fix. I played 24 rounds with strapping so thick on my ankle that I couldn’t tie my bootlaces up. I had to cut the bottom of my sock off to fit my foot in the boot at all. When I got surgery to make walking less painful, the surgeon told me that the now incurable injury would have been prevented if treated immediately. Yes, I was an idiot. Yes, I hold complete responsibility over my stupid lack of action. But perhaps if one of the people who were supposed to have my best interests in mind – my coaches, my agent, the players, the physiotherapists and doctors – someone told me that I shouldn’t be playing, things would have gone differently. Playing wasn’t encouraged, it was expected. And I was celebrated for it. People told me how brave I was, how tough, how admirable my actions were. What did that bravery get me? It got me early retirement from the only job I’d ever had. I was 20 years old. Cronk’s actions and our reaction to it normalise behaviour that is unacceptable, dangerous, and morally untenable. Someone, I don’t care if it was Peter Beattie himself, should have told him that he couldn’t play. If not for his sake, then for the sake of Johnny and Janie Superstar watching on. The NRL mustn’t ignore this problem and we as fans and media mustn’t continue to applaud it. Just as the Head Injury Assessment (HIA) was brought in to protect players who refuse to protect themselves, so too a new rule must be implemented to curb players playing with severe injuries. Enough is enough. Players have proven once and for all that they are incapable of making decisions in their own best interest and the media are just as complicit in celebrating such daft bravado. Of course, such a rule will bring new challenges. It will be difficult to define a severe injuries, and the players themselves won’t like it. Guess what? Tough luck. For once though, it would be nice if the NRL was proactive, rather than reactionary. Just like the HIA the new rule won’t always get it right, but this is one line that it’s better to be on the cautious side of. Nothing will change as long as players are allowed to behave in this way. The next crop of youngsters will come through with the same expectations engrained in their rugby league DNA. Cronk’s ability to play through pain was brave and admirable, but perhaps, the braver thing to do would have been to sit it out. If not for his own safety, for the future safety of the boys and girls watching at home.